La Petite Academy will be celebrating literacy all month long! So, be sure to ask your teacher and school director about our book kits featuring great children’s books with wonderful learning activities to go with each! Through our book kit program, you can borrow a new book each month to take home and read with the family, and enjoy the specially developed activities that correspond with each book. It’s a great way to help develop your child’s vocabulary and build a love of learning. Children are wordsmiths! They love to tell stories. They often come home with a new joke to tell. They are quick to learn and use new vocabulary. “Read it again” is a phrase that often comes from a child’s lips. 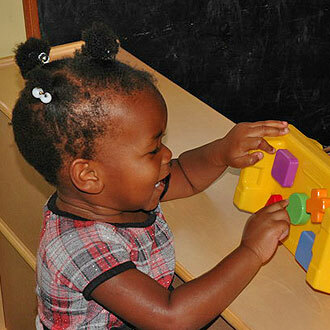 Provide opportunities for your child to practice new skills during these important early childhood years. Talk while doing everyday things. Point out familiar places or objects. Describe and talk about items you see. Speak clearly. Pause for younger children, so they may imitate and understand you. Read books, sing, and say rhymes with your child every day. As your children mature, have them predict what will happen in the story. Invite them to act it out or draw a picture. Ask “Who,” “What,” When,” “Where” and “Why” questions during the story or in conversation. Provide your child with writing materials and the time and space to use them. Go to museums, visit libraries and enjoy hobbies that broaden your children’s knowledge of the world beyond their home and neighborhood. Our teachers place a special emphasis on giving children the literacy foundations they need to be successful. We feed children’s love of words through beloved children’s literature. In addition to the book kits we provide for each classroom, from infants to school age, wonderful hands-on activities for each book are shared with the children. Older children enjoy keeping a journal. They are able to share stories and practice writing letters, words, and phonics skills. And our rich and inviting classroom book and language areas give children the tools they need to continue to develop their literacy skills every day.